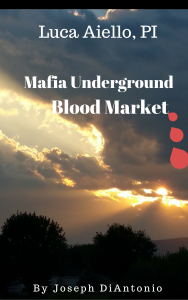 This is an EXCITING, PULSE THRILLING story about a deadly virus found in the blood supply – specifically in the black market blood sold by organized crime. Professor Emilio Costa discovers a genetically modified virus and calls upon his friend, Luca Aiello, a retired New York City Police Lieutenant who is now a private investigator, to find out who is behind the sinister plot. Professor Costa realizes that this virus, if it gets into the world’s blood supply, will have catastrophic consequences for the world. This could unleash the deadliest plague to ever decimate humanity. So, who created the virus? Why did they do it? How is the Mafia involved? Yes, who is the sinister, evil group behind this deadly plague? Check the surprise ending.